Oreck steam cleaner reviews on this page give an in depth look at Oreck products whose history dates as far back as 1963 when the company was started by an energetic David Oreck. The company's initial goal was to manufacture upright vacuum cleaners for the hotel industry. No sooner did hotel employees start getting interested in the vacs did Oreck start manufacturing household upright vacs. Today steam cleaners are also an important part of a long product range from Oreck Cooperation a company based in the United States. Unlike other manufacturers Oreck does not manufacturer pressure washers. Generally, in North America Oreck products are known for their quality construction and being of a pricey end. However, this does not mean in the midst of this great design and quality perception amongst the public flaws will not be found on a model basis. Each model has to be considered carefully in light of what you want it to do and what the manufacturer says it can do. As usual on this site, price comes last because decisions based on price along usually leads to a very bad deal when it comes to the appliance doing the work. Here we consider certain Oreck steam cleaner units together with the PROS and CONS of each based on widespread user experience. 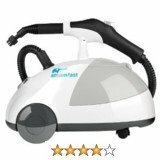 According to the manufacturer this steam cleaner is a multi-purpose steam cleaner which can be used efficiently and effectively around the home. It does your bathrooms, kitchen, tiles and different fabrics. It also comes with a huge assortment of attachments which converts the steamer to steam any surface including upholstered furniture. In that regard it is also supposed to work as an upholstery steamer in addition to other functions such as grout steaming. This has positive reviews particularly for grout cleaning and cleaning tiles of all types in general. The steam produced by this Oreck steam cleaner model is heated within 30 seconds which is way less time compared to some 3 minutes waiting offered by some steam cleaners this is particularly the case with tea-pot style handheld steam cleaners. It also does cleaning without any chemicals which is a plus for many home users in addition to its ability to work with ordinary tap water. Some steamers require distilled water to prevent chemical compounds in the tap water from damaging or even corroding inside parts. This model comes with two microfiber pads for attachment to the head. However through user experience these have been criticized for being too small. The good news welcomed by many users is that any suitable microfiber pad can be clipped to the head and it doesn't have to be from Oreck. Some manufacturers tend to confine users to own pads which can be a great inconvenience and expensive. There are apparently some other chores that you will find difficult to do with this Oreck steam cleaner model despite the manufacture giving assurance that the unit does them well. For example, many home users have complained that the unit is difficult to use for any job above your head. This includes cleaning windows and tiles that go high up. This is because it becomes very heavy to lift when the tank is filled with water to capacity. The solution here is to fill the tank half way to lighten the burden. The following are some aggregated PROS and CONS of this particular unit from different users. The Oreck Steam-It! is fairly priced. It is costs just about $160.00 when purchased online were sometimes free shipping is offered. Other steam cleaners reviewed for your consideration on this website includes Haan steam cleaner and Dirt Devil Steam cleaner. Different brands of steamers and carpet cleaners include Bissell, Eureka, MacCulloch, Hoover, Monster and Shark. 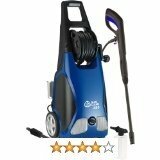 This is one of Oreck steam cleaner model relatively new to the market. This steam glide model has a triangular swivel head which is designed to fit in some of the most difficult places. The triangular shape means that the steamer can clean corners which other ordinary steam cleaners cannot access. Even though the Steam-Glide can be applied for other purposes to appears to thrive when cleaning a wide range of hard floor surfaces that includes marble, ceramic, stone, vinyl, linoleum and hardwood that is sealed. The fact that it cleans hard floors will also give it an advantage when cleaning you tiles and particularly an ability to do grout steaming using special attachments. It can also clean carpets and upholstery. Some users who are professional carpet cleaners have complained that they find no real purpose of steam mopping a carpet. The unit can also be used to clean fabric such as upholstery. This steamer is designed to use tap water. However, not all tap water is feasible. There is need to check that your water is not hard water as these will leave mineral residue in the steamer which can eventually block the little holes that release steam. This leads to major inefficiencies. These type of faults are not covered by the warranty and therefore you will need to use distilled water or filtered water which can turn out to be an extra regular bill. - Two floor pads supplied with steamer too few for its purpose, they should be ay least four pads.